Backstory: Billy Joel is your Piano Man. Across 3 decades, he had 33 Top 40 hits in the US. Even more impressive? He wrote all 33 of those songs himself. This Grammy-winning singer-songwriter is in three different halls of fame. He didn’t have enough credits to graduate high school, so he went to Columbia Records instead. He did get his diploma 25 years afterward, so I guess it really is better late than never. 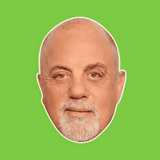 Inspired by the Beatles, Billy Joel joined a band that covered British Invasion music. He didn’t start the fire, but we love him anyway! If Only the Good Die Young, then how much longer do we get to have him alive for? 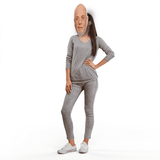 🤩DON’T JUST WEAR THE CELEBRITY, BECOME THE CELEBRITY - Billy Joel has been An Innocent Man for The Longest Time. 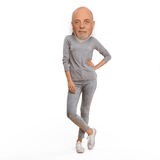 Bring the Piano Man with you to parties, concerts, and Halloween.